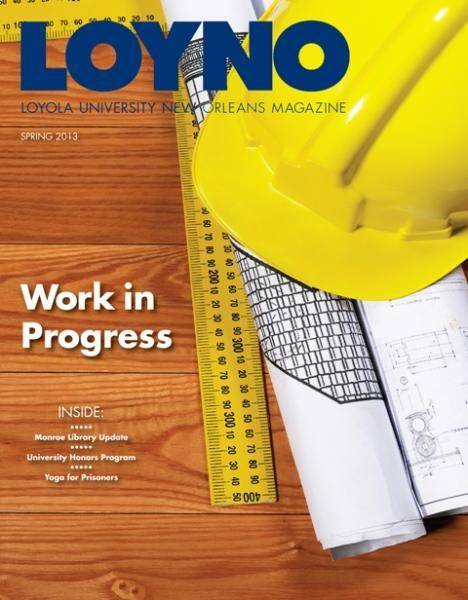 Read entire spring 2013 LOYNO. Heavy construction on Monroe Hall today will lead to a modern marvel tomorrow. Dean of Libraries Michael P. Olson, Ph.D., discusses the Monroe Library’s role for Loyola’s second century. 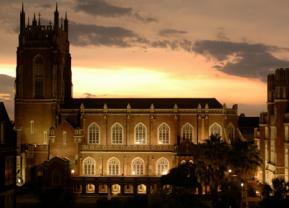 The Honors Program provides opportunities for academic and co-curricular achievement. How Loyola propelled four 1976 mass communication graduates to success. Colleen McEvoy ’92, M.B.A. ’92, brings the benefits of yoga to prisoners. What started as important life lessons in the form of letters to his daughter has turned into an inspirational new book for alumnus Brad Fortier ’96. Associate Professor Rosalie Anderson, Ph.D., and her students are receiving national recognition for their chicken limb joint regeneration research. Read previous issues in the Magazine Archives.